This is for those who appreciate the technology that goes into a powertrain. 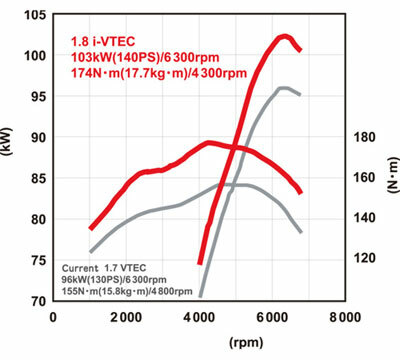 How does the new 1.8 litre SOHC i-VTEC engine in the new 2006 Honda Civic achieve good fuel mileage (Honda claims 1.5 litre fuel economy during cruising) while producing a respectable 140 horsepower and 174 Nm of torque? 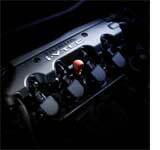 Let’s have a look at some of the technologies that went into this new engine – the R18A1. According to Honda, during low load driving conditions like highway cruising where the driver would be pressing the accelerator pedal only slightly, the engine experiences pumping losses due to the restricted air flow created by a throttle butterfly that is almost closed. 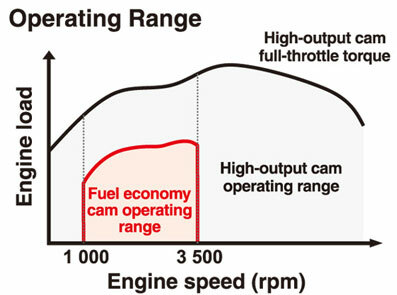 Pumping losses and air resistance result in a negative impact to fuel economy Using a conventional mechanical throttle this cannot be avoided. Low speed = small throttle butterfly opening. Pedal to the metal = big throttle butterfly opening. Honda got around this using Drive-by-wire and a fuel-economy optimized i-VTEC system. The i-VTEC system for the 1.8 litre SOHC engine has 2 sets of cam lobes, one for high output and one for low load conditions. During low load conditions, the pumping losses are avoided by letting the throttle butterfly open wider than it normally would. To offset the larger amount of air coming in, the intake valve timing is delayed. This reduces pumping losses up to 16 percent. 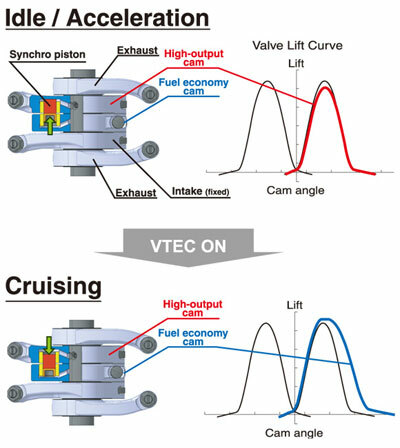 To increase fuel economy, Honda has also taken steps to reduce friction in the engine. Piston skirts are coated with Molybdenum disulfide, and oil rings are ion-plated to ensure reduced friction. This provides a 10% reduction in friction. Other technologies include a variable-length intake manifold using longer manifolds at low RPMs and shorter manifolds at high RPMs for an optimum ram effect and piston oil jets which cool down pistons to avoid engine knocking. As a result of these technologies and a compression ratio of 10.5:1, this 1.8 litre SOHC i-VTEC engine makes 140hp at 6300rpm and 174Nm of torque at 4300rpm.